The rock of white and gray |　Staircase(Omogo Valley)　|　Why is the bottom white? I borrowed the photo of a reader of my site. He also informed me they made staircase. 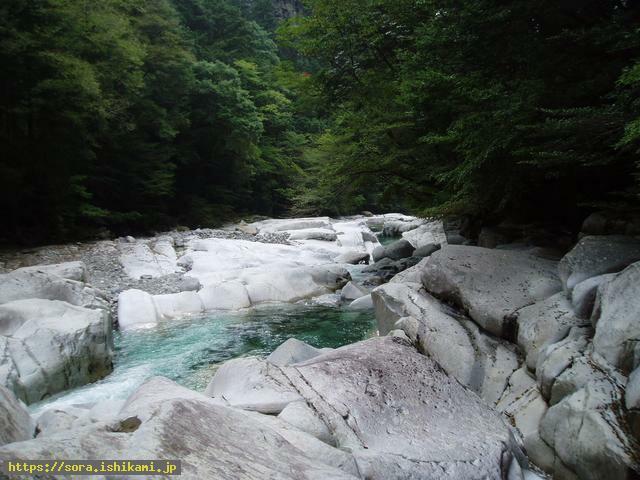 The riverbed of Omogo Valley is white, and Stone god told me it became white as he transmitted atoms to become white of juice color. Why is the bottom white? 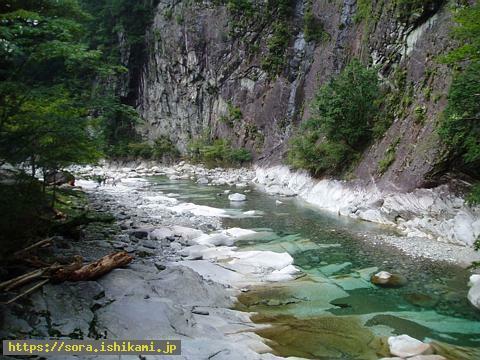 This photo of Omogo Valley in Shikoku, Japan is the one sent by a reader of my site. Stone gods wanted to show that they descended to the earth so that they would overlap the earth to double. Therefore the Stone god which became the bottom layer tried to be the color of the juice.